Jan 2013, Nablus. In the second biggest city in West Bank, real estate and new offices are flourishing. 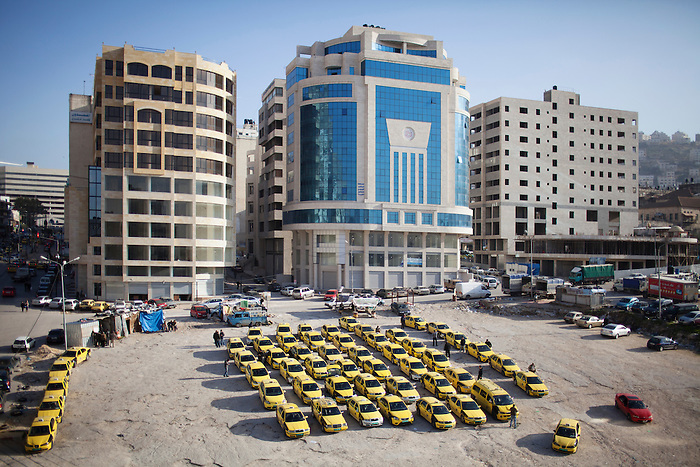 In the Rafida quarter, the Paltel group has just built an office building on the “taxi square” . The economical boom has accelerated since the blockade on the city by the Israeli army was removed in 2009. Before then, Nablus people needed a permit for going out of the city. However, movement is still limited with the presence of the 58 Israeli checkpoints inside the West bank, in addition to the restrictions of access to Jerusalem and Gaza, still affecting heavily the economical development in Palestine.